Over 70 people crammed into London’s Conway Hall last night (January 29) to discuss the ongoing witch-hunt against the Left in the Labour Party and what can be done to stop it. Hundreds of left-wing and pro-Palestinian members remain expelled or suspended, many of them on trumped up charges of anti-Semitism. In the short time that LAW has been going we have attracted an amazing amount of vitriol from the ruling class’s prostitute press. When it comes to Liberal or the Tory press – whether it is the Mail or the Guardian/Independent - there is no difference, they are all against ‘anti-Semitism’ – at least when it comes in the form of anti-Zionism and support for the Palestinians! Imagine – the Tory tabloids and racist commentators like Richard Littlejohn are all opposed to anti-Semitism whilst demonizing Black people and asylum seekers. You’d need to have a lobotomy not to realize the gross hypocrisy of these ruling class scribes. The Jewish Chronicle and their racist Political Editor Marcus Dysch, who seems reluctant to follow up his threats to sue me for calling him a racist, seems obsessed with us. 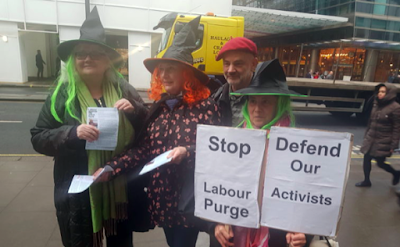 Virtually every week there is a story about Labour Against the Witch-hunt. 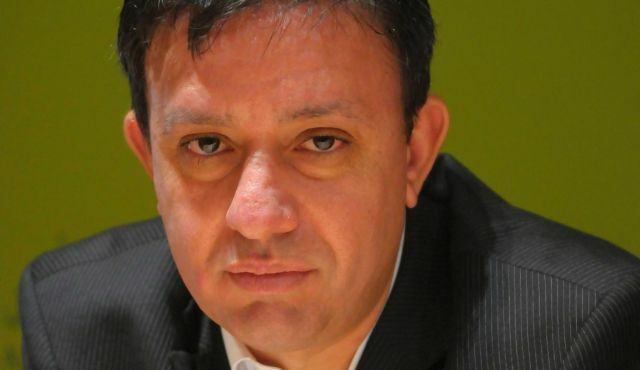 “I do not wish to step into party politics too much, but it is important that in debates like this we call out campaigns such as Labour Against the Witchhunt, which has called for ‘the immediate lifting of all suspensions and expulsions from Labour Party membership which were…connected to the antisemitism smear campaign’. How kind of this execrable Tory, who has nothing to say about the racism of his own party, to be outraged when members of the Labour Party complain about false allegations of anti-Semitism. It would seem that even to point out the fact that anti-Semitism has been weaponised against anti-Zionists and supporters of the Palestinians is anti-Semitic! Thus has free speech been outlawed. Percy is a court Jew who pays homage to the Establishment. 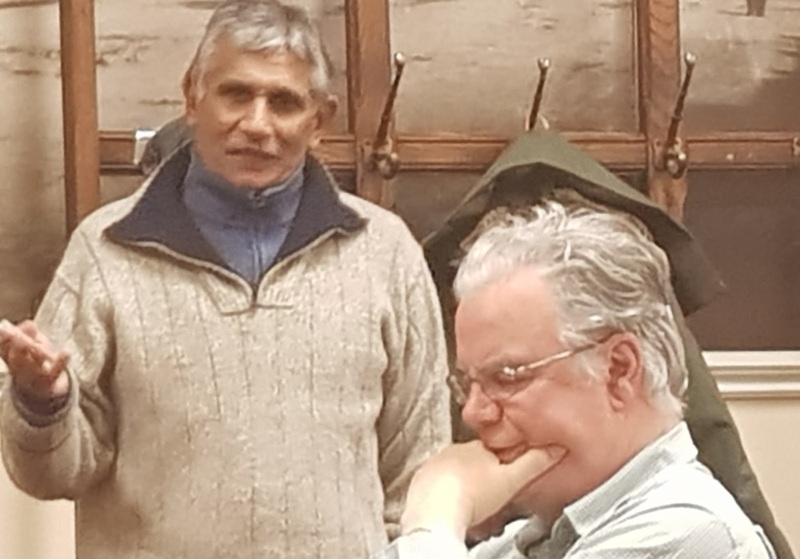 Percy decries Labour ‘anti-Semitism’ and at the same turns a blind eye to the alliance of his own party with Holocaust deniers in the European parliament. He has nothing to say about the inclusion in the ECR group of Robert Zile of the Latvian LNNK. The same Zile who marches each year with the veterans of the Latvian Waffen SS. I am suspended for, amongst other things, calling the reactionary Labour MP Louise Ellman, a supporter of Israeli child abuse, which she is. 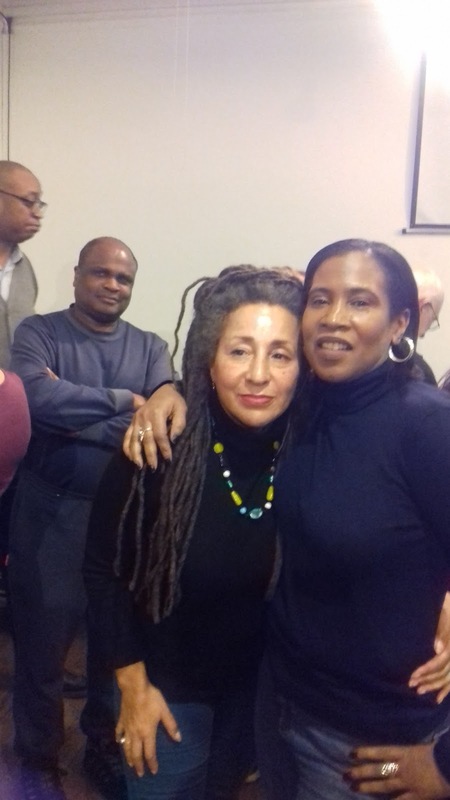 Three times in a debate on a Report, funded by the Foreign & Commonwealth Office and backed up by UNICEF, she intervened in a parliamentary debate to defend the Israeli military’s abuse of Palestinian children. Ellman should long ago have been expelled from the Labour Party for her support for war crimes. 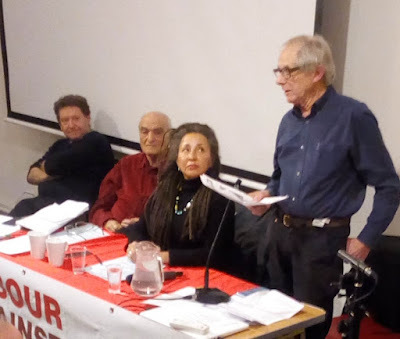 At the meeting Professor Moshe Machover, the Honorary President of Law spoke as did Jackie Walker, Marc Wadsworth, Tony Greenstein and Ken Loach. Tony Greenstein, Vice Chair of Law explained that “it doesn’t take a genius to work out that this campaign has nothing to do with anti-Semitism, but everything with destabilising Jeremy Corbyn’s leadership.” When we have the far-Right, people like neo-Nazi Richard Spencer calling himself a ‘white Zionist’, when virtually every fascist party from our own BNP and EDL to Le Pen’s Front Nationale, Strache’s Freedom Party in Austria to the neo-Nazi AfD (alternatives for Germany) all loving Israel, how dare they accuse us of anti-Semitism? 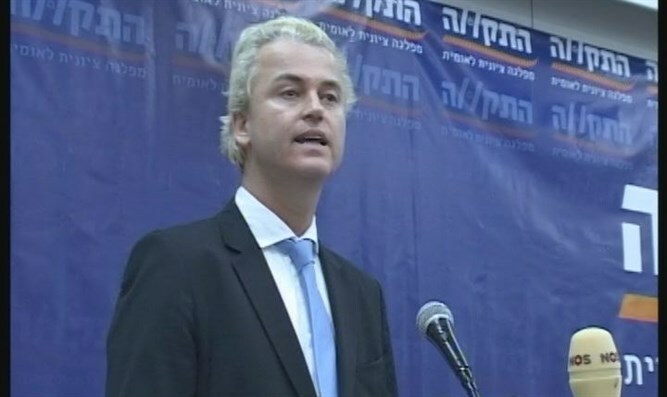 Why do these fascists and racists love Israel? Because it is the kind of state that they wish to emulate. A state that is presently trying to deport 40,000 refugees because they are Black and not Jewish. What is there not to like about Israel? Moshé Machover reminded the audience that suspensions on charges of anti-Semitism amount to “character assassination”, but while he had been accused of anti-Semitism, he had actually been expelled for having articles published in the Weekly Worker and Labour Party Marxists. Under the monstrous rule 2.1.4.B for, a member or “supporter” of any political organisation which is not affiliated to Labour and which is not a Labour Party unit can be instantly expelled, with no right of appeal. 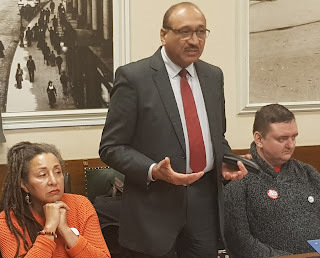 “I asked them repeatedly what ‘support’ is supposed to mean, but I got no reply.” But after an international protest campaign that saw dozens of Labour Party branches and CLP issue motions in his support, “the compliance unit suddenly decided that I did not support either organisation or newspaper, when a few weeks earlier they had decided exactly the opposite. Needless to say, nothing had changed in the meantime.” Having been expelled on October 5 2017, he was reinstated on October 30 – and is still demanding an apology from the compliance unit. Tina Werkmann, speaking from the floor, asked why it was that Jeremy Corbyn had failed to speak up for those suspended. Corbyn knows many of those involved yet had displayed a singular lack of backbone despite the fact that Labour Friends of Israel MPs such as Chair Joan Ryan have been his bitterest enemies. He is not strengthening his position by remaining silent about his friends. Privately people tell me that the main culprit is his poisonous aide Seamus Milne, ex-Guardian journalist and veteran Stalinist. Milne, even more than Corbyn has articulated the ‘strategy’ that if Corbyn concededs to the anti-Semitism witch-hunt then his life will be made easier. Milne and Corbyn don’t understand that the longer they appease these racist bastards the greater will be their demands. Racists such as Jeremy Newmark need to be faced down. 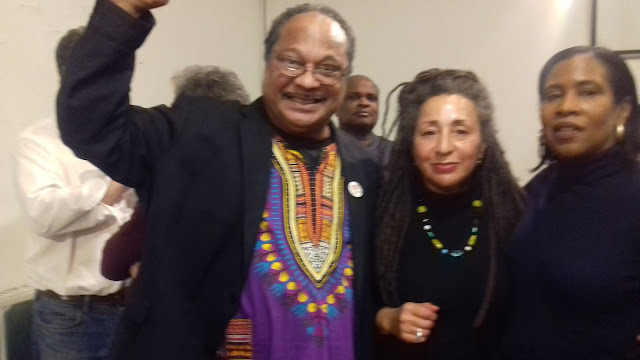 My suggestion is that Corbyn ask Newmark what is the position of the jlmm regarding the deportation of African refugees from Israel and why the Israeli Labour Party is supporting Netanyahu’s racist attack on Eritrean and Sudanese refugees. We heard a number of moving speeches from the floor from people who had been suspended. One, David Watson, from Walthamstow had been suspended because of the Stella Creasy mafia and her abusive partner. Another Cyril Chilsom is a former Israeli who converted to Catholicism. Cyril is the child of a survivor of the Nazi concentration camps. His mother was an inmate in Auschwitz concentration camp. 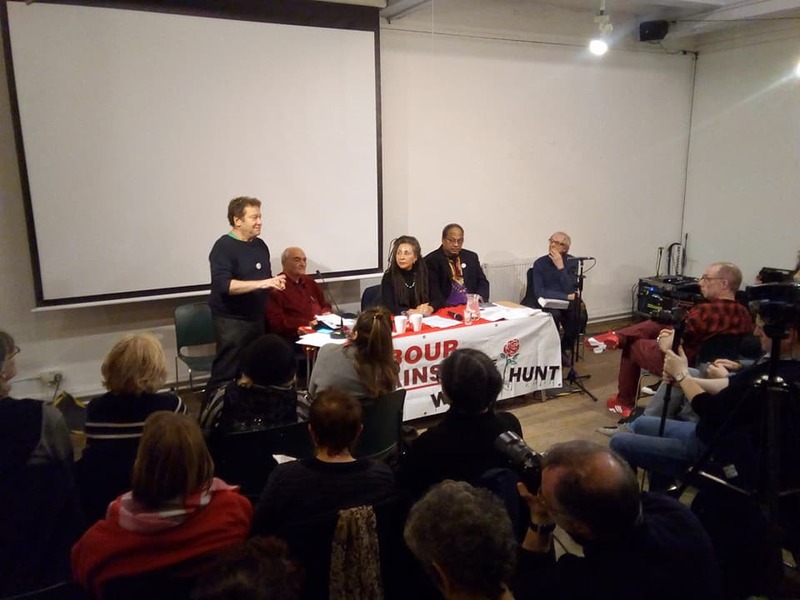 Despite this the vile racists of the Compliance Unit and Crooked Iain McNicol suspended Cyril at the behest of Jeremy Newmark and the racist Jewish Labour Movement. Videos of the speeches from the event will be available on our website soon. There will be another public meeting organised by Labour Against the Witchhunt tonight in Birmingham. Plans are currently being finalised for a conference in spring and an intervention at the Labour Party conference in Liverpool. LAW’s founding principles can be found here. 1. A moratorium on any new cases being referred to the National Constitutional Committee (NCC). 2. The withdrawal of all outstanding NCC cases. 3. The immediate implementation of the Chakrabarti report recommendations on Labour’s disciplinary procedures in respect of natural justice and due process. One of the best - I've EVER been to and I've Chaired and been to a LOT of meetings. It was packed. The panel - me Chairing, Tony Greenstein (Jewish blogger suspended for AS), Marc Wadsworth long time black anti-racist warrior (suspended for AS), Ken Loach (not yet suspended/villified as they wouldn't dare even though he says/said some hard hitting things), Moshe Machover (world famous expelled and re-instated Jewish anti-zionist dissident). Contributions were great, wide ranging, insightful, inspiring. 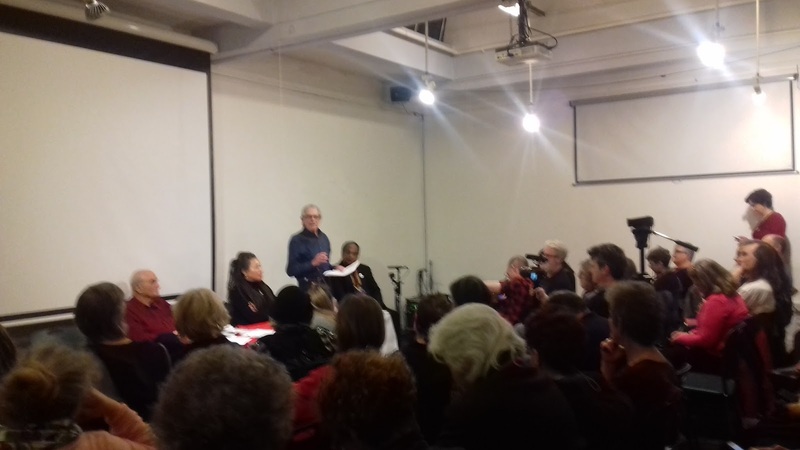 Many members from Grassroots Black Left and Jewish Voice for Labour in the audience but THEN came the audience BIG TIME - ex IDF (Israeli army) son of holocaust survivor's testimony on what his suspension for AS has done to his life, people who have waited 2 years and still dont' know what they are accused of. Tales of injustice, torment and the question WHY? Why do we allow a system that has led already to one suicide, to torment, depression, to public (metaphorical) lynchings to remain? And demands - that the left on the NEC should reflect the views of those who elected them and ACT to implement Chakrabarti. It's time for the Leadership to intervene in this debate. That it's time for us to MAKE the media, not be their objects. This is the fightback. Join Labour Against the Witchhunt! Edited highlights to follow! It is one of life’s ironies that if you are a neo-Nazi and you deny that the Holocaust occurred, then you are more than welcome to enter Israel, pay homage to the dead you deny at Yad Vashem, meet government ministers and profess your joint hatred of Muslims. 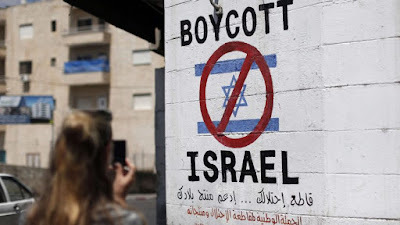 However if you are Jewish and believe that Boycotting Israel is the best way to change its Apartheid economic and society then you are banned. This is what Israel has come to. Anti-racists are banned but racists, fascists and neo-Nazis are more than welcome. 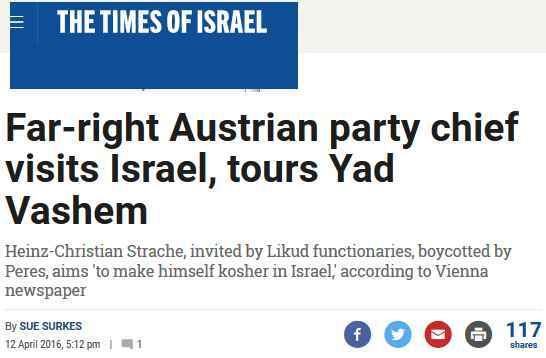 People like Heinz Christian-Strache of Austria, who was a guest of Likud recently. Or Geert Wilders, the Dutch bigot and parliamentarian or even Richard ‘White Zionist’ Spencer the neo-Nazi alt-Right leader. All of the above are welcome in Israel BUT Rebecca Vilkomerson, the leader of Jewish Voices for Peace in the United States is NOT welcome. Israel is one of the few countries in the world who ban people not for what they do but what they think. It is ironic that it must be the only country in the world to welcome neo-Nazis but ban the ‘wrong sort of Jews’ from entering. I guess that is why it calls itself a ‘Jewish’ state. Here is the list of 20 groups that have been banned – two – Palestine Solidarity Campaign and War on Want are from Britain. One of the special ironies of the weekend’s news that Israel is barring 20 international organizations from entry because they support BDS (Boycott, Divestment and Sanctions) is the appearance on that list of the venerable American Friends Service Committee, or AFSC, which was founded 101 years ago as an antiwar organization. 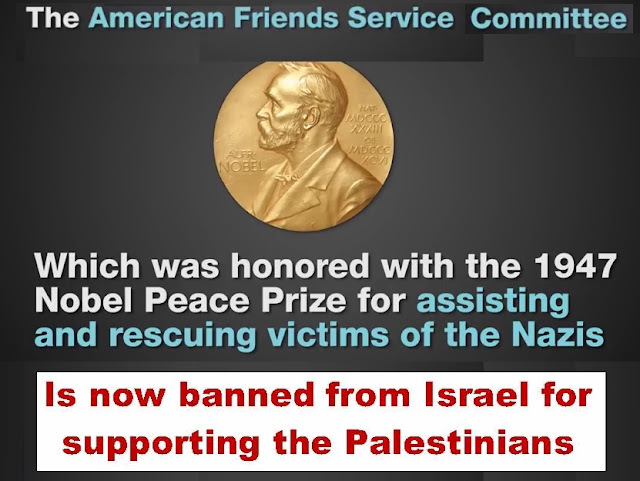 AFSC earned distinction and a Nobel Prize for helping Jews and other refugees escape the Holocaust. Now it is on that list because it is helping Palestinians! 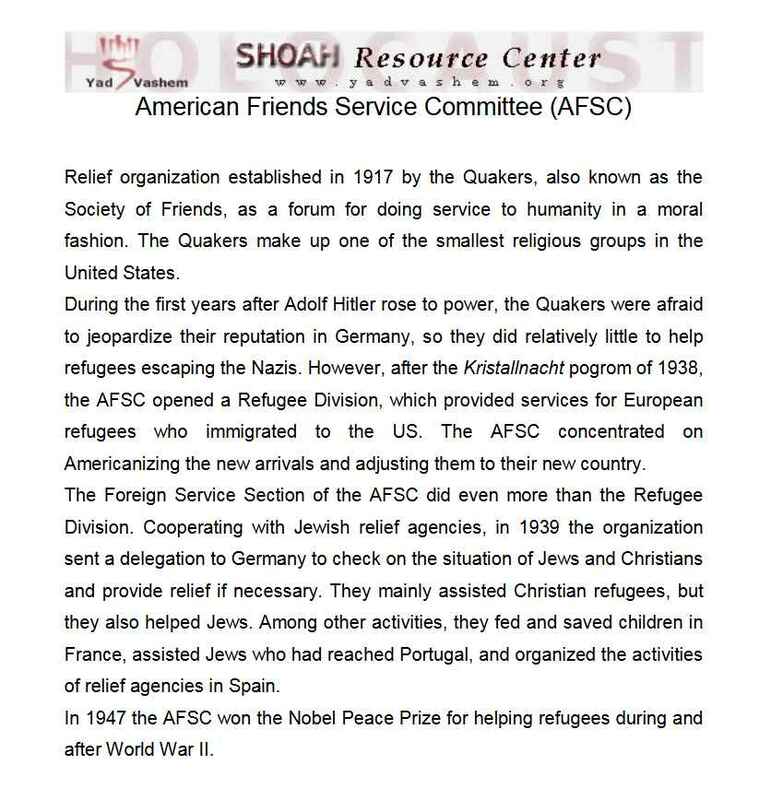 Relief organization established in 1917 by the Quakers, also known as the Society of Friends, as a forum for doing service to humanity in a moral fashion. The Quakers make up one of the smallest religious groups in the United States. The Foreign Service Section of the AFSC did even more than the Refugee Division. 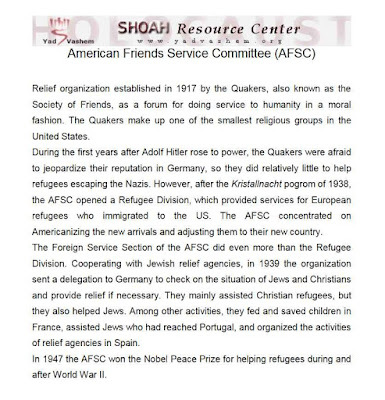 Cooperating with Jewish relief agencies, in 1939 the organization sent a delegation to Germany to check on the situation of Jews and Christians and provide relief if necessary. They mainly assisted Christian refugees, but they also helped Jews. Among other activities, they fed and saved children in France, assisted Jews who had reached Portugal, and organized the activities of relief agencies in Spain. In 1947 the AFSC won the Nobel Peace Prize for helping refugees during and after World War II. 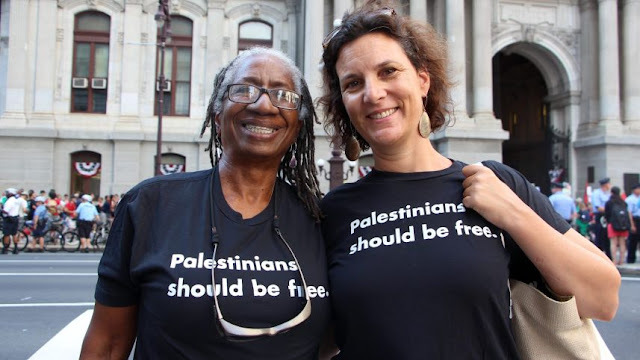 “We will continue to stand up for peace and justice in Israel and Palestine regardless of the recent Israeli announcement that staff from AFSC and 19 other organizations may be denied entry to Israel because of our support for the grassroots Boycott, Divestment, and Sanctions movement for Palestinian human rights. Thanks to Ofer Neiman and Eitan Diamond. Oh and Haaretz also did the story. And thanks to Mondo’s co-editor Adam Horowitz– who used to do Palestinian work at AFSC. P.S. This story feeds my spiritual understanding that Palestinians are being forced by Israel to recapitulate the history of the Jews. What we experienced in Europe, Palestinians must experience in Israel and Palestine. This time around we play the guys with the jack boots! Of course there is a big arc in that story; the group goes from being humiliated outsiders to people granted prestige by the world for their suffering. Palestinians are gaining prestige by the moment. AFSC is surely proud of being named. An amazing thing is happening in Israel. For once the Holocaust is being put to good use instead of being used as a tool to justify repression. Just 4 days ago David Sheen, a Canadian-Israeli who has campaigned tirelessly in support of Israel’s 40,000 Black African refugees, wrote in Electronic Intifada that Israel was set to win its war on African refugees and Netanyahu would be able to deport the refugees. Yet in the space of a week, as Anshel Pfeffer has written in Ha'aretz (below) Netanyahu’s plans are in a shambles. There has been an uprising of Israel’s more liberal middle classes against what has become an international embarrassment. Even Israel’s Ambassador to the United States, has warned that it is making Israel even more of an international pariah. 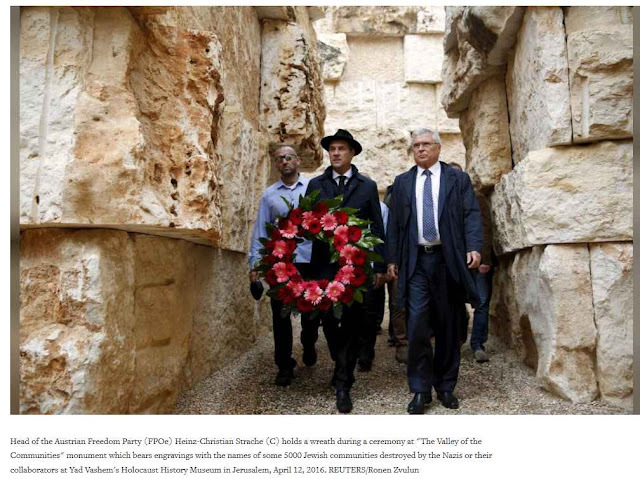 What is even more gratifying is that large numbers of Israel’s Holocaust survivors, in whose name the State has committed many terrible atrocities and war crimes, have spoken out. The very same Holocaust survivors who are kept in abject poverty in Israel. If there is one lesson that everyone can understand from the Holocaust it is that if the West had taken in the Jewish refugees from Hitler, then far fewer Jews would have died in the Holocaust. Today the same forces that opposed the immigration of Jewish refugees in the 1930’s – the American Firsters, the Daily Mails and Expresses, the far-Right anti-immigration politicians – support Zionism and the Israeli state. However the Holocaust survivors themselves realize that there is a contradiction between racist Zionism and the lessons of the Holocaust. Zionism wishes to preserve a Jewish state that is as ethnically pure and Jewish as possible. To do this it is prepared to expel thousands of refugees because they are Black and non-Jewish. As has been pointed out to me, there are thousands of White non-Jewish Russians in Israel who are not being deported. 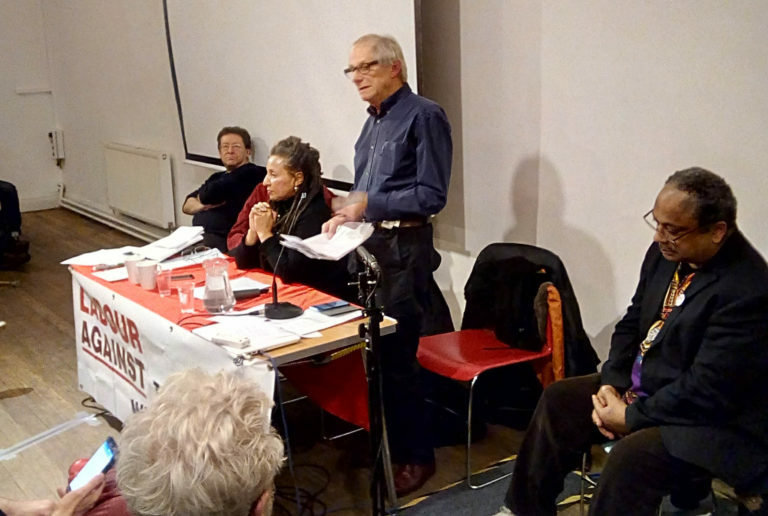 What is more outrageous is that the group which is behind the false anti-Semitism campaign in the Labour Party, which has been put in charge of anti-racism training in the Labour Party, the Jewish Labour Movement, refuses to condemn the stance of the Israeli Labour Party, which it describes as its ‘sister party’ of the ILP. 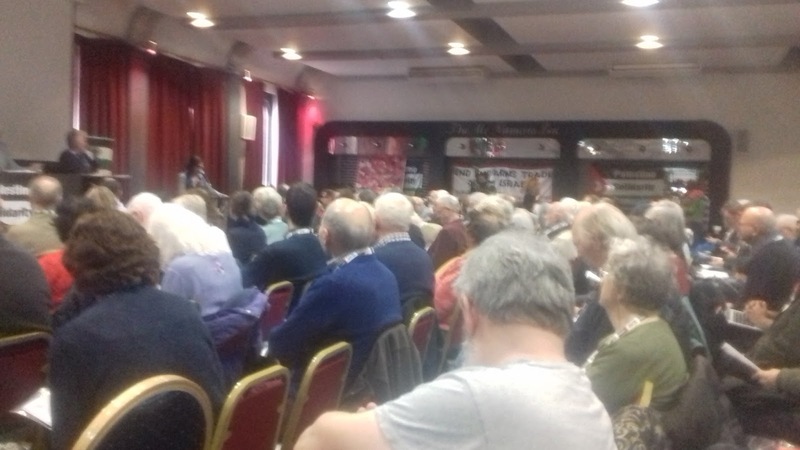 One of the members of Labour’s National Executive Committee, Rhea Wolfson, is a member of the JLM. Wolfson reportedly broke down in tears when fellow NEC member Darren Williams threatened to vote against referring the case of Jackie Walker to the party’s disciplinary body, the National Constitutional Committee. 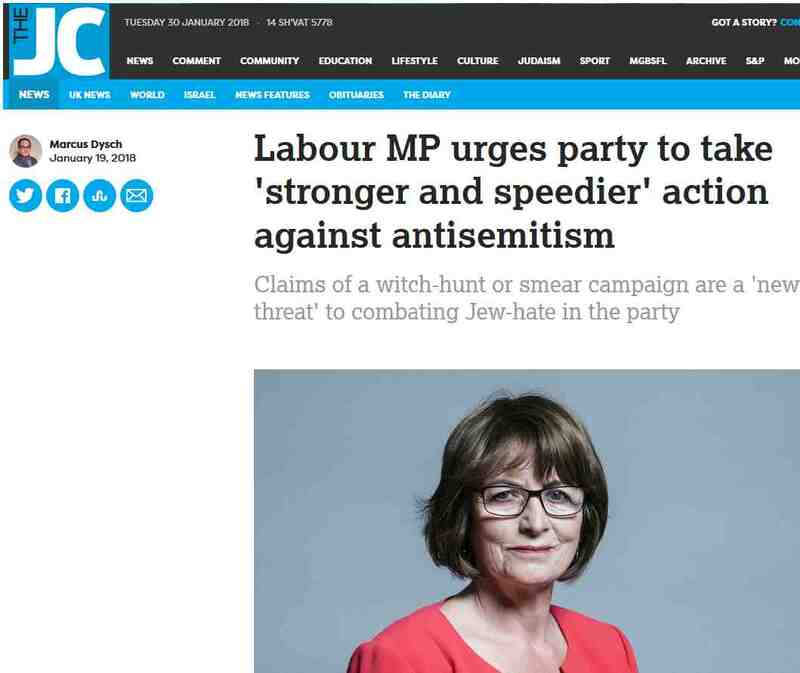 Jackie as people will be aware has been subject to a scurrilous political lynching by the JLM. 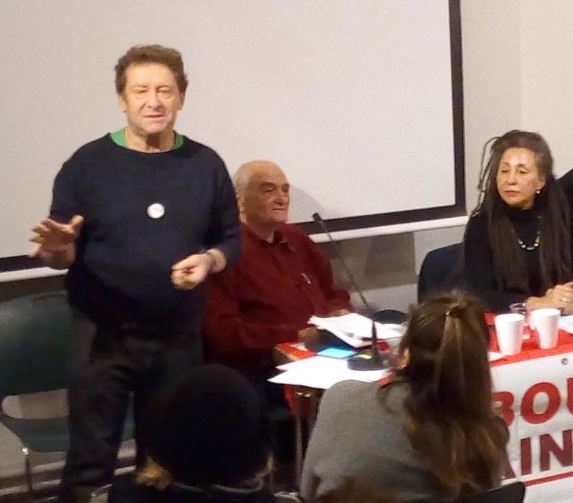 We are calling on Rhea Wolfson to dissociate herself from the racist stance of the JLM and its Director Jeremy Newmark and to do this in the most public way by resigning from the organisation. 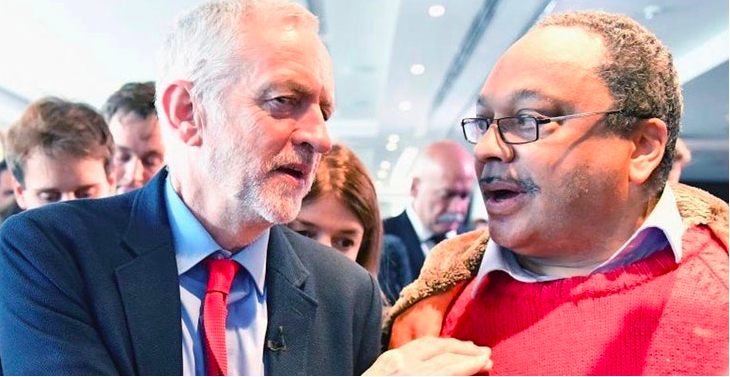 It is unacceptable that someone who is supposedly on the Left is aligned with the racist policy of the Israeli Labour Party. Forcible deportation of asylum seekers is the policy of the racist and fascist Right not the Left of the Labour Party. 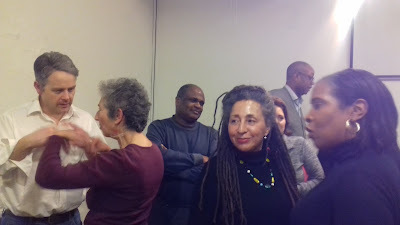 Wolfson should be congratulating Israel’s Holocaust survivors not keeping company with racists. One of Prime Minister Benjamin Netanyahu’s proudest achievements in office has been the new border fence with Egypt. He may have been exaggerating when he described it in 2013 as “one of the greatest engineering feats ever achieved in Israel.” Still, it has certainly worked and actually proved one of his least controversial actions. Replacing the old, ramshackle barbwire fence, the new 5-meter (16-foot), reinforced steel barrier has made it much more difficult for Islamist groups to launch cross-border terror attacks like the one near Eilat in August 2011, when eight Israelis were killed and the impetus to finally build the fence was provided. It has also severely hampered the smuggling of arms and drugs, and, most importantly, cut off the Sinai’s human-trafficking route. Since the fence’s completion in 2013, the Bedouin gangs that trafficked in Eastern Europe women (to be forced into prostitution) and African refugees – fleeing repressive Sudan and Eritrea – have had to look elsewhere. But cutting off the smuggling channels was not enough. In the seven years before the barrier was up, some 50,000 African refugees had paid the Bedouin’s exorbitant fees and reached Israel. Denied status and unable to work legally, most of them ended up in cramped accommodations in south Tel Aviv, where odd jobs were available and a community of sorts emerged. A toxic combination of authentic complaints and unsubstantiated allegations of crime and epidemics made the plight of south Tel Aviv’s veteran residents a rallying point for far-right activists – including members of the outlawed Kahanist groups – and Netanyahu has for years been trying to work out a deportation solution. With record low unemployment rates and a growing demand for foreign workers, a comprehensive plan to “legalize” the asylum seekers and resettle them across Israel would have been the humane and efficient solution. But incitement against the “infiltrators” – as the government calls them – by nationalist politicians and pundits has turned it into a challenge from the right-wing base that Netanyahu could not avoid. Deportation was the only way out. Anything less would be seen as a sign of weakness. There was no way the High Court of Justice would allow the government to deport the Sudanese and Eritreans back to their homelands. Quiet negotiations were conducted with various African countries to serve as “third countries,” and eventually secret deals were reached with Uganda and Rwanda. A few thousand asylum seekers were prevailed upon to leave “voluntarily,” with a few thousand dollars in their pockets. But news of how they were mistreated upon arrival soon filtered back – and then no one was prepared to volunteer any more. However, egged on by his cheerleaders, Netanyahu refused to back down and together with Interior Minister Arye Dery, who holds the immigration brief, made dramatic visits last year to south Tel Aviv, where he was received rapturously. The main problem was not having sufficient leverage against the refugees. The High Court refused to let the government incarcerate them for more than 60 days. But a breakthrough came for Netanyahu last December, when the High Court approved deportation to “third countries” of any refugee whose asylum request is not pending. The fact the Interior Ministry has made it extremely difficult to request asylum – and that of 12,000 requests, only a third have been cursorily processed, and of those only 10 approved – failed to sway the justices. The orders were given to expedite the mass deportation plan. Dozens of planes were to be chartered, the refugees given the stark choice of leaving voluntarily with $3,500 in cash or facing indefinite detention. The Rwandan government was to receive $5,000, or some other form of goods or arms, for every refugee they accepted. Only a few weeks ago it seemed all over. The small band of activists who had fought for the refugees’ rights were conceding defeat and trying to at least save the unaccompanied children among them from deportation. But even as the first notices were being issued to the refugees, the wheels were coming off from the plan. It had been drawn up too hastily, without due consultation with the various agencies involved. The Israel Prison Service, already suffering from massive overcrowding, made clear it had no space for the thousands of expected detainees. The refugee groups made clear they would not accept the financial inducements and when the government threatened to deport them by force, legal advisers made clear to the High Court they would almost certainly accept a petition against forcible deportation. No less important, the small circle of activists supporting the refugees had rapidly begun to grow. A series of petitions circulated, with the signatories committing themselves to hiding refugees in their homes if necessary. At first, it was easy for the government’s supporters in the media to deride these groups as anti-Zionist, far-leftist, elitist NIMBYists who didn’t care for the poor residents of south Tel Aviv. But still the protests grew, with petitions signed by over 1,000 doctors and medical staff; 100 air crew refused to man deportation flights and called upon their colleagues not to do so either; and, perhaps most damagingly, a personal letter was sent to Netanyahu, signed by 36 Holocaust survivors. 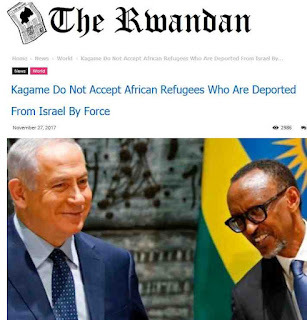 The publicity has already caused Rwanda to announce it has no “secret” agreement with Israel and that it will not accept refugees deported against their will. Whatever deal President Paul Kagame’s government has with Netanyahu, it doesn’t seem to be worth the adverse publicity in Africa. The timing couldn’t have been worse. The survivors’ letter is now the main Holocaust-related news coming out of Israel just in time for the one date in the calendar when most of the global media is looking for stories on this issue: International Holocaust Remembrance Day, this Saturday. It hardly seemed necessary, but apparently even Israel’s ambassador to the United States and one of Netanyahu’s closest advisers, Ron Dermer – certainly no liberal – has been warning the prime minister of the PR disaster being caused by reports about the deportations. Is the leaking of Dermer’s concerns the harbinger of a government climbdown? It’s too early to say. Either way, Netanyahu will seek to blame the south Tel Aviv-hating left for sabotaging his “humane and just” deportation and furthering their goal of swamping Israel with aliens. There are valuable lessons here for embattled Israeli human rights groups on how to actually win a campaign despite what seem at first like insurmountable odds and public indifference. It is still way too early to declare victory. But even if Netanyahu succeeds in salvaging his plan, the self-inflicted damage has been done and the deportations, if they take place, will be accompanied by a great deal more lousy publicity for him. What seemed imminent a few weeks ago now looks improbable. Celina Shapil spent the winter of 1943 on the run from the Nazis, crossing the borders of Poland, Slovakia and Hungary on foot through the snow at age 17. Now, this 92-year-old Holocaust survivor sees her own story reflected in the plight of African asylum seekers in Israel, and when she heard of the government’s plan to deport them, she was outraged. And then she decided it was time to speak out. 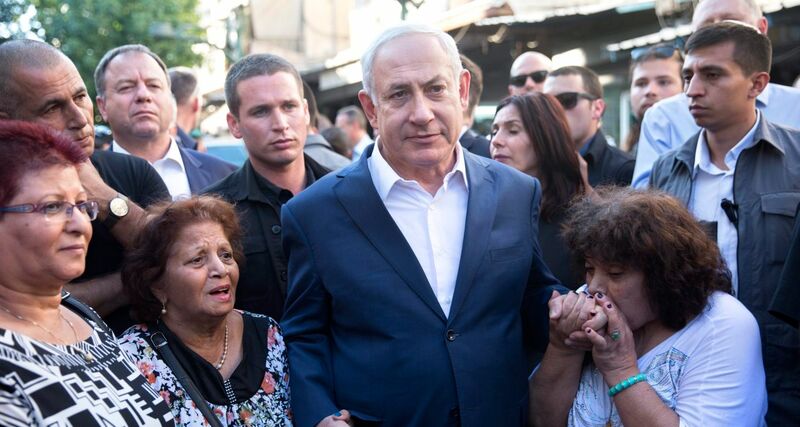 A group of Holocaust survivors sent a letter to Prime Minister Benjamin Netanyahu on Thursday imploring him not to go ahead with his plan to deport African asylum seekers from Israel. 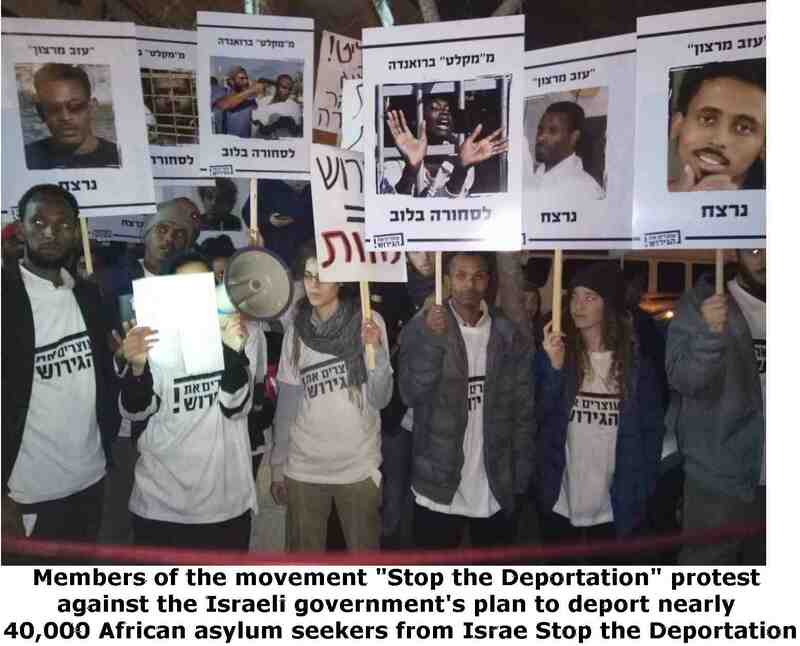 They join a grassroots effort that already includes airline pilots, writers, college professors, doctors, lawyers, university students, social workers, filmmakers and rabbis, attempting to prevent the planned deportation by the Israeli government of nearly 40,000 African asylum seekers over the next two years to either their home countries or other countries in Africa. “We – who know what it means to be a refugee, to be without a home or a country that would protect and defend us from violence and suffering – cannot understand how a Jewish government can expel refugees and asylum seekers to a journey of pain, suffering and death,” the 36 survivors wrote to Netanyahu. Reports from asylum seekers, predominately from Sudan and Eritrea who have already made the return journey to Africa from Israel, are harrowing. There are accounts collected by researchers of asylum seekers who left Israel being robbed, sold into human trafficking and even killed. Diaspora Jews have also been among those pushing Israel to reconsider its policy, citing Jewish values and invoking the Biblical injunction to “not mistreat or oppress a foreigner, for you were foreigners in Egypt” (Exodus 22:21) as well as the Jewish people’s long history with flight from persecution and genocide. 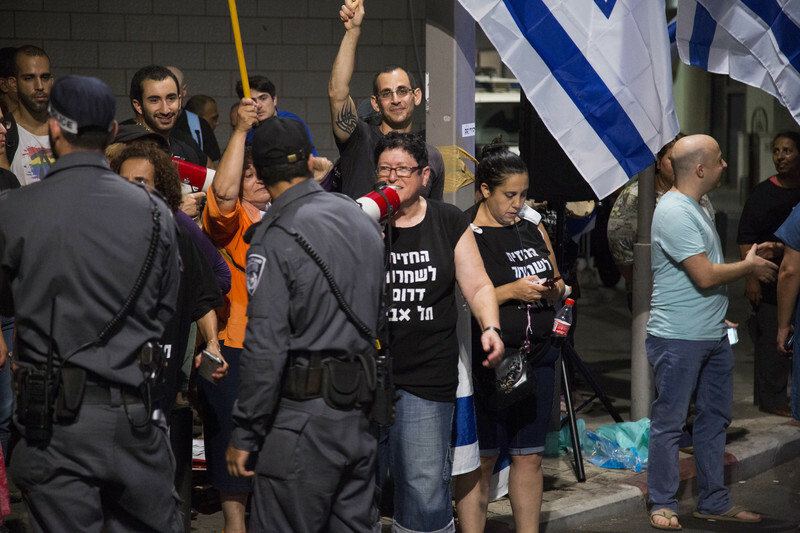 Thousands have signed petitions and hundreds of people turned out for meetings on a rain-soaked Wednesday night in Jerusalem and Tel Aviv organized by a group called Standing Together (Omdim Beyachad) to fight the deportations. Thousands of Israelis called on airline workers not to take part in flights that would take the asylum seekers to Africa in a campaign organized by the group Zazim and a new national organization founded by university students has sprung up called “Stop the Deportation” and is holding protests and setting up information booths across the country. The backlash and civil society organization is being joined by many people who were not involved in the past, veteran activists say. 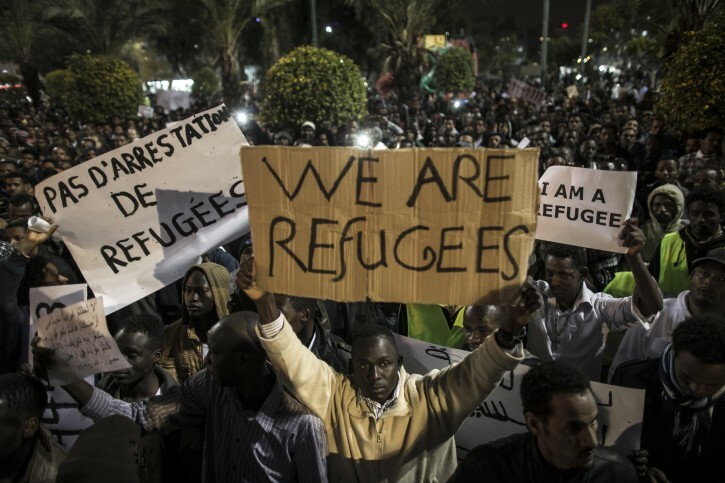 The first asylum seekers came to Israel a little over a decade ago. Originally most were from the Darfur region of Sudan, seeking refuge from the savage civil war raging there, but then tens of thousands more joined from elsewhere in Sudan and Eritrea, posing a moral puzzle over how to handle the influx to Israel, a country founded in the shadow of the Holocaust whose Jewish population is largely descended from refugees from Nazi Europe or Middle Eastern countries. In the last week, some Holocaust survivors have even offered to hide asylum seekers in their own homes and hundreds of other Israelis have offered to do the same. Navot started volunteering with asylum seekers four years ago, teaching basic computer skills at a learning center. “There are so many aspects to what drew me to this. I could talk about the fact that my grandmother is a Holocaust survivor or about my parents who are left-wing and have always advocated for human rights, but really what brought me to it is when I met the people themselves and started to understand the issue. They became friends and when one hears their stories one cannot ignore them,” she said. A campaign was launched last week, calling on Israelis to hide asylum seekers if it becomes necessary, was inspired, its organizers say, by the story of Anne Frank. The massive response to the campaign, now called Miklat Yisrael (Israel Refuge) took its organizers, including American-born Rabbi Susan Silverman of Jerusalem who came up with the idea, by surprise. “We are getting an amazing response,” said Silverman, with hundreds of requests from both individuals and groups, including kibbutzim. And this is before, she notes, they begin doing official outreach. Among the communities volunteering are some located in the West Bank. “And here we are, a bunch of lefties going, ‘What?’ But it turns out we can find common ground. Stopping people from being sent to their deaths is one of those ways,” she said. Silverman, whose sister is the American comedian Sarah Silverman, said she is heartened that so many are coming forward to say no to deportation, including, for example, a letter by flight attendants, who announced they would not work on flights that were deporting the asylum seekers. “Every link in the deportation chain is beginning to be blocked,” she said. 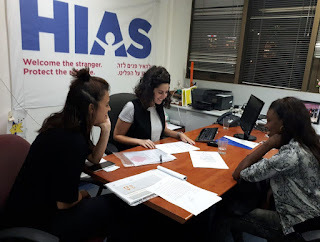 Sivan Carmel, Director of HIAS Israel, which for years has been among the main non-profits working to help the asylum seekers, is heartened by the rush of new activism and resistance among Israelis and Diaspora Jews. 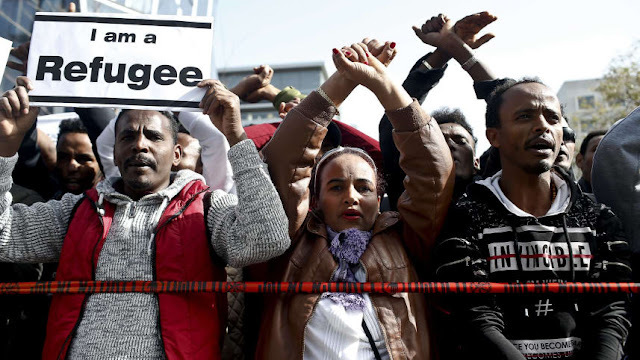 Carmel said that despite the government attempts to paint the asylum seekers as economic migrants and not refugees, calling them dangerous and labeling them as “infiltrators”, Israeli citizens are heeding the call to action. 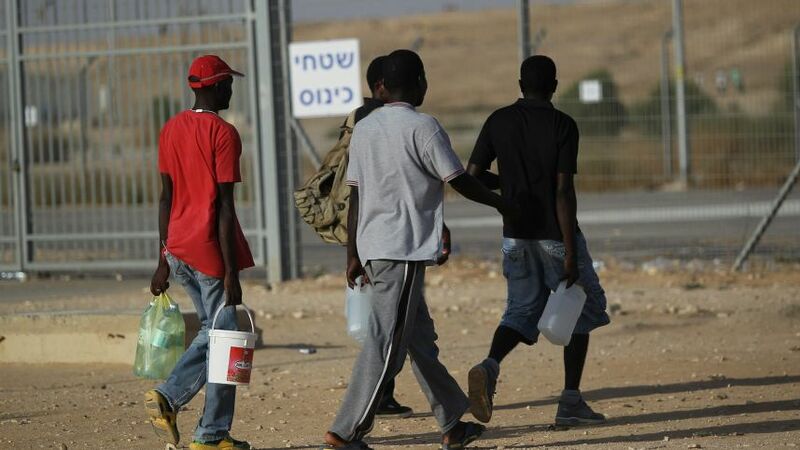 Out of approximately 35,000 Sudanese and Eritrean migrants in Israel, only eleven to date have been granted official asylum here. “People are beginning to understand the facts that many of them are asylum seekers who fled from persecution, but less than half percent have received refugee status even though most of their counterparts from Sudan and Eritrea have been determined to be refugees in other countries," said Carmel. Michael Sfard, a well-known human rights lawyer was among lawyers across the country who signed a public letter against the deportations. “I think we lawyers have to cry out and voice our position that this is a reprehensible act even if it is done or portrayed as being done by legal means and going through legal channels because in the most profound way it is illegal,” said Sfard. 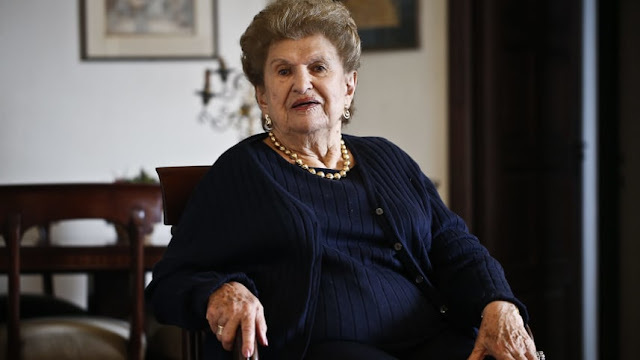 Shapil, who made it to present-day Israel’s shores in 1944 after fleeing into a Russian-held part of Romania, continues to mourn her parents and younger brother who were murdered in Auschwitz, but feels lucky to have been able to rebuild her life here. She hopes the African asylum seekers will find refuge here too.